[J6] "Linearizing Discrete-Time Hybrid Systems", Vadim Alimguzhin, Federico Mari, Igor Melatti, Ivano Salvo, Enrico Tronci, IEEE Trans. Automat. Contr. Vol. 62, pp. 5357--5364, 2017. [J5] "On minimising the maximum expected verification time", Toni Mancini, Federico Mari, Annalisa Massini, Igor Melatti, Ivano Salvo, Enrico Tronci, Inf. Process. Lett. Vol. 122, pp. 8--16, 2017. [J4] "Model Based Synthesis of Control Software from System Level Formal Specifications", Federico Mari, Igor Melatti, Ivano Salvo, Enrico Tronci, ACM Transactions On Software Engineering And Methodology ACM, Vol. 23, pp. Article 6, 2014. [J3] "A multi-hop advertising discovery and delivering protocol for multi administrative domain MANET", Federico Mari, Igor Melatti, Enrico Tronci, Alberto Finzi, Mobile Information Systems IOS Press, Vol. 3, pp. 261--280, 2013. [J2] "Anytime system level verification via parallel random exhaustive hardware in the loop simulation", Toni Mancini, Federico Mari, Annalisa Massini, Igor Melatti, Enrico Tronci, Microprocessors and Microsystems Vol. 41, pp. 12--28, 2016. [J1] "SyLVaaS: System Level Formal Verification as a Service", Toni Mancini, Federico Mari, Annalisa Massini, Igor Melatti, Enrico Tronci, Fundamenta Informaticae Vol. 149, pp. 101--132, 2016. [C32] "An Efficient Algorithm for Network Vulnerability Analysis Under Malicious Attacks", Toni Mancini, Federico Mari, Igor Melatti, Ivano Salvo, Enrico Tronci, Foundations of Intelligent Systems - 24th International Symposium, ISMIS 2018, Limassol, Cyprus, October 29-31, 2018, Proceedings (Lecture Notes in Computer Science), Springer, Vol. 11177, pp. 302--312, 2018. [C31] "Computing Personalised Treatments through In Silico Clinical Trials", Toni Mancini, Federico Mari, Annalisa Massini, Igor Melatti, Ivano Salvo, Stefano Sinisi, Enrico Tronci, Rainald Ehrig, Susanna Roeblitz, Brigitte Leeners, Proceedings of the Workshop on Experimental Evaluation of Algorithms for Solving Problems with Combinatorial Explosion co-located with the Federated Logic Conference, RCRA@FLOC 2018, Oxford, United Kingdom, July 13, 2018 (CEUR Workshop Proceedings), CEUR-WS.org, Vol. 2271, 2018. [C30] "Parallel Statistical Model Checking for Safety Verification in Smart Grids", Toni Mancini, Federico Mari, Igor Melatti, Ivano Salvo, Enrico Tronci, Jorn Klaas Gruber, Barry P. Hayes, Milan Prodanovic, Lars Elmegaard, Proceedings of 2018 IEEE International Conference on Communications, Control, and Computing Technologies for Smart Grids, SmartGridComm 2018, Aalborg, Denmark, October 29-31, 2018 IEEE, pp. 1--6, 2018. [C29] "Computing Biological Model Parameters by Parallel Statistical Model Checking", Toni Mancini, Enrico Tronci, Ivano Salvo, Federico Mari, Annalisa Massini, Igor Melatti, Bioinformatics and Biomedical Engineering - Third International Conference, IWBBIO 2015, Granada, Spain, April 15-17, 2015. Proceedings, Part II (Lecture Notes in Computer Science), Springer, Vol. 9044, pp. 542--554, 2015. [C28] "SyLVaaS: System Level Formal Verification as a Service", Toni Mancini, Federico Mari, Annalisa Massini, Igor Melatti, Enrico Tronci, Proceedings of the 23rd Euromicro International Conference on Parallel, Distributed and Network-based Processing (PDP 2015), special session on Formal Approaches to Parallel and Distributed Systems (4PAD) 2015. [C27] "Simulator Semantics for System Level Formal Verification", Toni Mancini, Federico Mari, Annalisa Massini, Igor Melatti, Enrico Tronci, Proceedings Sixth International Symposium on Games, Automata, Logics and Formal Verification (GandALF 2015) (EPTCS), Vol. 193, pp. 86--99, 2015. [C26] "A Glimpse of SmartHG Project Test-bed and Communication Infrastructure", Vadim Alimguzhin, Federico Mari, Igor Melatti, Enrico Tronci, Emad S.M. Ebeid, Søren A. Mikkelsen, Rune H. Jacobsen, Jorn Klaas Gruber, Barry P. Hayes, Francisco Huerta, Milan Prodanovic, Digital System Design (DSD), 2015 Euromicro Conference on pp. 225--232, 2015. [C25] "User Flexibility Aware Price Policy Synthesis for Smart Grids", Toni Mancini, Federico Mari, Igor Melatti, Ivano Salvo, Enrico Tronci, Jorn Klaas Gruber, Barry P. Hayes, Milan Prodanovic, Lars Elmegaard, Digital System Design (DSD), 2015 Euromicro Conference on pp. 478--485, 2015. [C24] "An integrative approach for model driven computation of treatments in reproductive medicine", Rainald Ehrig, Thomas Dierkes, Stefan Schaefer, Susanna Roeblitz, Enrico Tronci, Toni Mancini, Ivano Salvo, Vadim Alimguzhin, Federico Mari, Igor Melatti, Annalisa Massini, Brigitte Leeners, Tillmann H.C. Kruger, Marcel Egli, Fabian Ille, Proceedings of the 15th International Symposium on Mathematical and Computational Biology (BIOMAT 2015), Rorkee, India 2015. [C23] "System Level Formal Verification via Distributed Multi-Core Hardware in the Loop Simulation", Toni Mancini, Federico Mari, Annalisa Massini, Igor Melatti, Enrico Tronci, 22nd Euromicro International Conference on Parallel, Distributed, and Network-Based Processing, PDP 2014, Torino, Italy, February 12-14, 2014 IEEE Computer Society, pp. 734--742, 2014. [C22] "SmartHG: Energy Demand Aware Open Services for Smart Grid Intelligent Automation", Enrico Tronci, Toni Mancini, Federico Mari, Igor Melatti, Rune H. Jacobsen, Emad S.M. Ebeid, Søren A. Mikkelsen, Milan Prodanovic, Jorn Klaas Gruber, Barry P. Hayes, Proceedings of the Work in Progress Session of SEAA/DSD 2014 ISBN: 978-3-902457-40-0, 2014. [C21] "Patient-Specific Models from Inter-Patient Biological Models and Clinical Records", Enrico Tronci, Toni Mancini, Ivano Salvo, Federico Mari, Igor Melatti, Annalisa Massini, Stefano Sinisi, Francesco Davì, Thomas Dierkes, Rainald Ehrig, Susanna Roeblitz, Brigitte Leeners, Tillmann H.C. Kruger, Marcel Egli, Fabian Ille, Formal Methods in Computer-Aided Design (FMCAD) 2014. [C20] "Demand-Aware Price Policy Synthesis and Verification Services for Smart Grids", Enrico Tronci, Toni Mancini, Federico Mari, Igor Melatti, Ivano Salvo, Milan Prodanovic, Jorn Klaas Gruber, Barry P. Hayes, Lars Elmegaard, Proceedings of Smart Grid Communications (SmartGridComm), 2014 IEEE International Conference On 2014. 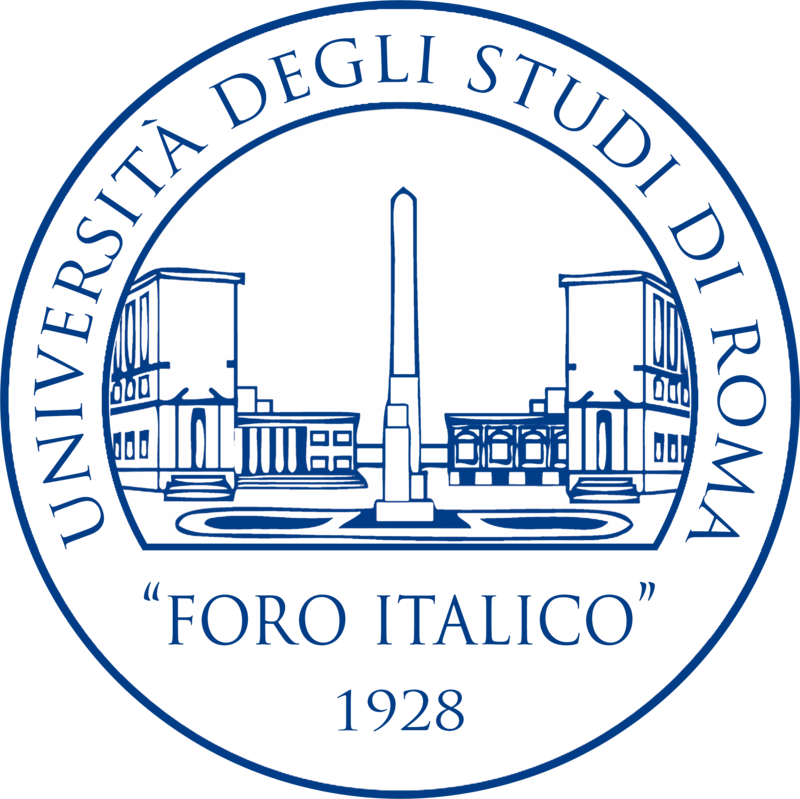 [C19] "Anytime System Level Verification via Random Exhaustive Hardware In The Loop Simulation", Toni Mancini, Federico Mari, Annalisa Massini, Igor Melatti, Enrico Tronci, In Proceedings of 17th EuroMicro Conference on Digital System Design (DSD 2014) 2014. [C18] "On-the-Fly Control Software Synthesis", Vadim Alimguzhin, Federico Mari, Igor Melatti, Ivano Salvo, Enrico Tronci, Proc. of International SPIN Symposium on Model Checking of Software (SPIN 2013) (Lecture Notes in Computer Science), Springer - Verlag, Vol. 7976, pp. 61--80, ISBN: 978-3-642-39175-0, 2013. [C17] "A Map-Reduce Parallel Approach to Automatic Synthesis of Control Software", Vadim Alimguzhin, Federico Mari, Igor Melatti, Ivano Salvo, Enrico Tronci, Proc. of International SPIN Symposium on Model Checking of Software (SPIN 2013) (Lecture Notes in Computer Science), Springer - Verlag, Vol. 7976, pp. 43--60, ISBN: 978-3-642-39175-0, 2013. [C16] "System Level Formal Verification via Model Checking Driven Simulation", Toni Mancini, Federico Mari, Annalisa Massini, Igor Melatti, Fabio Merli, Enrico Tronci, Computer Aided Verification - 25th International Conference, CAV 2013, Saint Petersburg, Russia, July 13-19, 2013. Proceedings (Lecture Notes in Computer Science), Springer - Verlag, Vol. 8044, pp. 296--312, ISBN: 978-3-642-39798-1, 2013. [C15] "Automatic Control Software Synthesis for Quantized Discrete Time Hybrid Systems", Vadim Alimguzhin, Federico Mari, Igor Melatti, Ivano Salvo, Enrico Tronci, Proceedings of the 51th IEEE Conference on Decision and Control, CDC 2012, December 10-13, 2012, Maui, HI, USA IEEE, pp. 6120--6125, ISBN: 978-1-4673-2065-8, 2012. [C14] "On Model Based Synthesis of Embedded Control Software", Vadim Alimguzhin, Federico Mari, Igor Melatti, Ivano Salvo, Enrico Tronci, Proceedings of the 12th International Conference on Embedded Software, EMSOFT 2012, part of the Eighth Embedded Systems Week, ESWeek 2012, Tampere, Finland, October 7-12, 2012 ACM, pp. 227--236, ISBN: 978-1-4503-1425-1, 2012. [C13] "Linear Constraints as a Modeling Language for Discrete Time Hybrid Systems", Federico Mari, Igor Melatti, Ivano Salvo, Enrico Tronci, Proceedings of ICSEA 2012, The Seventh International Conference on Software Engineering Advances ThinkMind, pp. 664--671, 2012. [C12] "Undecidability of Quantized State Feedback Control for Discrete Time Linear Hybrid Systems", Federico Mari, Igor Melatti, Ivano Salvo, Enrico Tronci, Theoretical Aspects of Computing (ICTAC 2012) (Lecture Notes in Computer Science), Springer Berlin Heidelberg, Vol. 7521, pp. 243--258, ISBN: 978-3-642-32942-5, 2012. [C11] "Control Software Visualization", Federico Mari, Igor Melatti, Ivano Salvo, Enrico Tronci, Proceedings of INFOCOMP 2012, The Second International Conference on Advanced Communications and Computation ThinkMind, pp. 15--20, 2012. [C10] "Model checking driven simulation of sat procedures", Giovanni Verzino, Federico Cavaliere, Federico Mari, Igor Melatti, Giovanni Minei, Ivano Salvo, Yuri Yushtein, Enrico Tronci, Proc. of 12th International Conference on Space Operations (SpaceOps 2012) 2012. [C9] "Model Checking Satellite Operational Procedures", Federico Cavaliere, Federico Mari, Igor Melatti, Giovanni Minei, Ivano Salvo, Enrico Tronci, Giovanni Verzino, Yuri Yushtein, DAta Systems In Aerospace (DASIA), Org. EuroSpace, Canadian Space Agency, CNES, ESA, EUMETSAT. San Anton, Malta, EuroSpace. 2011. [C8] "From Boolean Relations to Control Software", Federico Mari, Igor Melatti, Ivano Salvo, Enrico Tronci, Proceedings of ICSEA 2011, The Sixth International Conference on Software Engineering Advances ThinkMind, pp. 528--533, 2011. [C7] "Synthesis of Quantized Feedback Control Software for Discrete Time Linear Hybrid Systems", Federico Mari, Igor Melatti, Ivano Salvo, Enrico Tronci, Computer Aided Verification, 22nd International Conference, CAV 2010, Edinburgh, UK, July 15-19, 2010. Proceedings (Lecture Notes in Computer Science), Springer Berlin / Heidelberg, Vol. 6174, pp. 180--195, 2010. [C6] "Risk analysis via heterogeneous models of SCADA interconnecting Power Grids and Telco networks", Andrea Bobbio, Ester Ciancamerla, Salvatore Di Blasi, A. Iacomini, Federico Mari, Igor Melatti, Michele Minichino, A. Scarlatti, Enrico Tronci, Roberta Terruggia, E. Zendri, Proceedings of Fourth International Conference on Risks and Security of Internet and Systems (CRiSIS) pp. 90--97, 2009. [C5] "Model Checking Coalition Nash Equilibria in MAD Distributed Systems", Federico Mari, Igor Melatti, Ivano Salvo, Enrico Tronci, Lorenzo Alvisi, Allen Clement, Harry C. Li, Stabilization, Safety, and Security of Distributed Systems, 11th International Symposium, SSS 2009, Lyon, France, November 3-6, 2009. Proceedings (Lecture Notes in Computer Science), Springer, Vol. 5873, pp. 531--546, 2009. [C4] "Formal Verification at System Level", S. Mazzini, S. Puri, Federico Mari, Igor Melatti, Enrico Tronci, In: DAta Systems In Aerospace (DASIA), Org. EuroSpace, Canadian Space Agency, CNES, ESA, EUMETSAT. Instanbul, Turkey, EuroSpace 2009. [C3] "Model Checking Nash Equilibria in MAD Distributed Systems", Federico Mari, Igor Melatti, Ivano Salvo, Enrico Tronci, Lorenzo Alvisi, Allen Clement, Harry C. Li, FMCAD '08: Proceedings of the 2008 International Conference on Formal Methods in Computer-Aided Design IEEE Press, pp. 1--8, Piscataway, NJ, USA, 2008. [C2] "On Placing Skips Optimally in Expectation", Flavio Chierichetti, Silvio Lattanzi, Federico Mari, Alessandro Panconesi, Web Search and Web Data Mining (WSDM 2008) Acm, pp. 15--24, 2008. [C1] "CEGAR Based Bounded Model Checking of Discrete Time Hybrid Systems", Federico Mari, Enrico Tronci, Hybrid Systems: Computation and Control (HSCC 2007) (Lecture Notes in Computer Science), Springer, Vol. 4416, pp. 399--412, 2007.